Our most abundant warbler was considered two different species, Myrtle and Audubon’s, until 1973, and based on research published in August 2016, will soon be split back into Myrtle and Audubon’s, and probably a third, Goldman’s (which is found only in and around Guatemala). 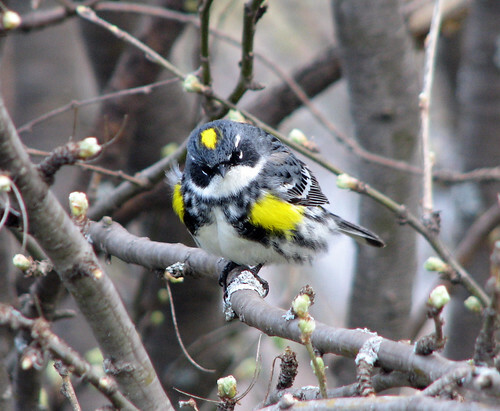 This hardy little bird can survive in even northern areas in winter because of its ability to digest a wider range of foods, including wax myrtle berries. In recent years an increasing number of them are appearing at bird feeders, most often for suet.